Categories: Indicators, ATEX, LED, Indicators. LED-W11X is a digital indicator for installation directly in a 4-20 mA loop without need for external power. 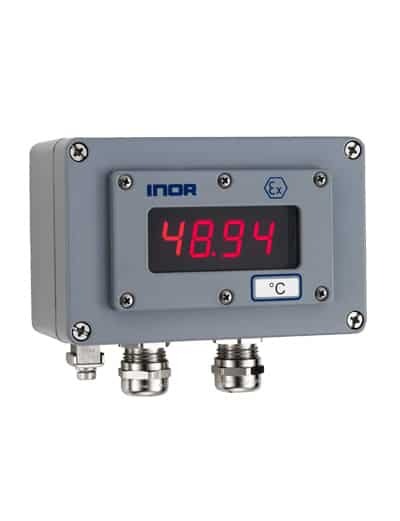 The indicator is equipped with bright, easy-to-read LED digits. LED-W11X is designed for field mounting on a wall or, by means of mounting kit, on a pipe or a DIN-rail. It has a rugged and splash proof housing with protection IP65/NEMA 4X. The scale is easily programmable, without reference signal, by two internal pushbuttons for any values between -1999 and 9999.